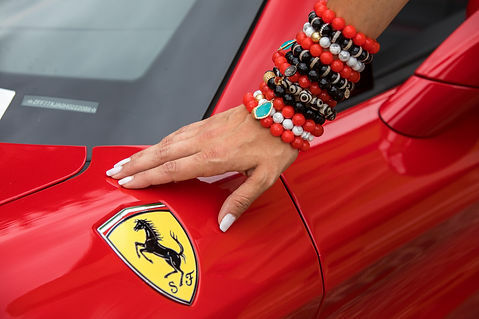 Home / Oriana Lamarca Designs / Fire up your Armparty with Fire Jade! Fire up your Armparty with Fire Jade! Fire Jade is the perfect way to add the spice to your favorite summer armparty! For the person who loves white and black but looking to add a little pop of color! The concept is to stay within one color family in order to achieve harmony. These are the colors that are next to each other on the color wheel, like blue and indigo. Using varying shades of colors in the same family creates a nuanced look that has a beautiful, pleasing effect. Match primary colors with other primary colors. The concept of matching is also called "color harmony," which is achieved when colors create a pleasing effect. Red, yellow and blue always harmonize. These colors are bold and eye-catching, and they never really go out of style. Perfect to transition from summer to fall!